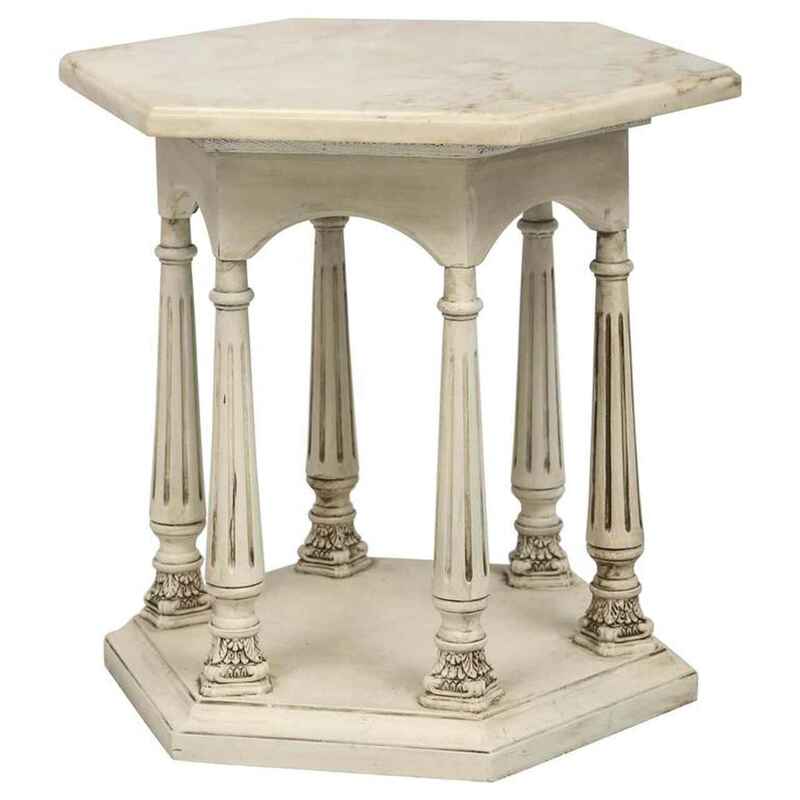 Side table, having an octagonal top of white marble, on carved wood, painted, base, shaped as a colonnade of fluted columns, on molded, conforming base. Side table, having an octagonal top of white marble, on carved wood, painted, base, shaped as a colonnade of fluted columns, on molded, conforming base. CONDITION: Excellent. Wear consistent with age and use.